“Come on in,” She yelled back. As the girls opened the door, they heard her say, “Might as well. You already woke me up.” The wrinkled condition of Mrs. Henry’s house dress told Amber and Laura that she really had been sleeping. Her thin white hair was piled up on her head so that it looked like a giant spider had woven its web there. “How are you feeling?” Laura asked, trying not to react to her appearance. “It’s a long story,” Mrs. Henry sighed. Amber and Laura were sure it would be. Laura and Amber jumped on their bikes and raced down the street toward the market. Laura had tucked Mrs. Henry’s money safely in her pocket. After they located all of the items in the store, they went to the checkout counter where Margaret, the clerk, rang up their purchases. Amber put the milk and bread in the basket of her bike. Laura took the eggs and coffee. They rode back as fast as they could, knowing that Mrs. Henry would be annoyed if they took too long. Just as they were turning the corner onto Hope Street, a large yellow dog ran out in front of them. Amber managed to miss the dog, but when Laura tried to swerve around him, she lost control of her bike. With a loud crash, she landed on the pavement, the back wheel of her bike still spinning around. Amber ran to help her up. That’s when she saw the raw egg spilled on the pavement. “Are there any unbroken ones?” Laura asked as Amber opened the carton. Just then Amber realized they were on Betty Jenkins’ street. Amber and Laura knocked forcefully on Betty’s door. “What’s wrong?” Betty asked when she saw the panic on their faces. 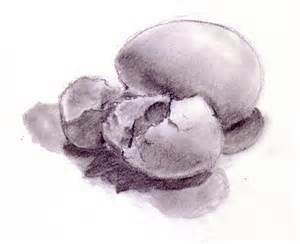 “We were shopping for Mrs. Henry, and we broke the eggs,” Laura explained. “What took you so long? Did you have to milk a cow?” Mrs. Henry fumed as the girls came through the door with her groceries. After they had put away Mrs. Henry’s groceries, Laura asked if there was anything else they could do for her. “You’re welcome,” Amber said when they got outside. “You didn’t expect her to thank us, did you?” Laura asked. The story of Martha and Mary in the Bible is one of my favorites. It is about two sisters who respond differently when Jesus comes to their house for dinner. Martha is busy with preparations, rushing around to get everything done. In the meantime, Mary sits at the feet of Jesus and listens to him talk. I think many of us identify with one of the sisters. For me, I am most like Martha. When I have guests, I am constantly busy making sure everyone has what they need. In between tasks, I try to visit with my guests, but I always have things I need to do as well. In the Bible story, Martha is upset when Mary doesn’t get up and help her. 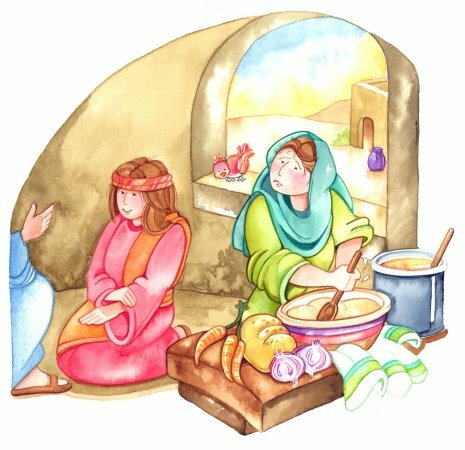 When Martha complains to Jesus, she expects him to order Mary to help. To Martha’s surprise, Jesus does just the opposite. He tells Martha that Mary has chosen the best way and he will not take that opportunity from her. “It’s just not right,” Melissa said as she plopped down on the sofa in her living room. “What’s that, dear?” Her grandmother asked. “Talking to Mrs. Henry was helping,” Sarah pointed out. “I’m sorry to hear that,” Sarah said, surprised. “There’s a story from the Bible that might help,” Sarah went on. “I’m not so sure. Maybe Mrs. Henry needed someone to talk to more than she needed a clean house,” Sarah said. We are all called to have a servant’s heart and to serve one another through love. But first we must have a heart for Jesus as Mary did. It is easy for me to be like Martha and I’m happy to serve others. But it is my prayer that I can become more like Mary. For I am convinced that I will be a much more contented servant of Christ. Beth Anne walked through the tall grass to the edge of the pond. She looked into the pond and saw tiny fishes swimming just under the surface. Dipping her hand into the water, she wiggled her fingers, scaring the fish away. The water felt cold. Continuing on around the pond, she noticed the grass was shorter and there were rocks along the edge. A lizard sat on one of the rocks, sunning itself. Tiny bugs had landed on the water. Beth Anne wondered if the lizard would try to catch them for food. After watching the lizard for a few minutes, Beth Anne decided to join her friends on the other side of the pond. She was making her way there, when she noticed a little girl about three years old, splashing her hands in the water. Suddenly, the rock on which the little girl was standing gave way and she fell into the pond. Beth Anne yelled for help. When no one came, she jumped into the pond and pulled the little girl out just as her head was going under water. Amber and Laura finally heard the commotion and came running around the pond. They helped Beth Anne get the little girl out of the water. “Where is your mom?” Laura asked the little girl when they had her safely away from the pond. “Over there,” The little girl pointed in the direction of the picnic tables. As the girls walked toward the picnic tables, the little girl’s mother saw them and came running. “Why are you all wet?” The mother asked, upset. “Thank you so much,” the mother said to Laura. Since Beth Anne’s clothes were wet, the girls decided it was time to go home. They got on their bikes and rode back to Doris Duncan’s house. “I’m a hero!” Beth Anne shouted as she ran in the house. “Why are you wet?” Her Grandmother asked. “Because I’m a hero,” Beth Anne said again. Just as Laura and Amber were leaving, the doorbell rang. When they opened the door, they found a reporter and cameraman standing on the porch. “Is this the house where the little girl lives who saved Tiffany McDonald from drowning?” The reporter asked. “You mean Beth Anne,” Laura said. “I’ll get her for you.” Laura left to get Doris and Beth Anne. Amber stayed at the door with the reporters. “How did you find out so fast?” Amber asked. Laura returned to the door with Doris and Beth Anne, who was now wearing dry clothing. “What is this all about?” Doris wanted to know. Beth Anne went with Veronica and sat down on the sofa in the living room. While the reporter asked questions, the cameraman filmed the interview. “What were you doing at the park?” Veronica asked. “How did you notice her?” the reporter continued. “Laura and Amber were looking for . . . What was it?” Beth Anne looked at Laura. On the cover of Seven is a Perfect Number are pictures of my granddaughter Avery’s lovely little hands signing the title of the book. In the book, Amber and Laura help out in a special education class and learn a little sign language, so it seemed appropriate to have sign language on the cover. It also gave me a way to use hands on the cover as is my plan for every book. When it came to choosing a picture for the back cover, I had several ideas. I like to show parts of our beautiful state. The back cover of the first Handy Helpers book is of me and my granddaughters at the Grand Canyon. But as I considered various pictures, I kept coming back to the one of me holding a huge python. It was taken by my friend, Tari Dane, while we were at Out of Africa with our students. Our tour guide brought out the snake and most of my students took turns holding it. At last, she asked if I would like to hold the snake, and of course I said I would. As soon as the snake was draped around my neck, the cameras came out. I stood there for ten or fifteen minutes cradling the snake’s head in my hand while everyone in our group took my picture. It was just like stepping out on the red carpet. I felt like a star. “As Melissa walked back to her classroom, she noticed some kind of commotion going on. ‘What happened?’ she asked one of the students standing on the walkway in front of their classroom. ‘What kind of snakes?’ Melissa sounded worried. ‘I hate snakes!’ one of the girls yelled, and they all started running around and screaming even more. Melissa was about to go into the classroom, when Chris came walking up with a little California king snake wrapped around his wrist. ‘Caught the king snake,’ he called to Logan, who was crawling around in the bushes outside the science room. Kids standing on the walkway started yelling and pointing. ‘Here comes your snake,’ Melissa laughed. Chris and Logan looked up to see Ms. McGuire coming up the walkway. 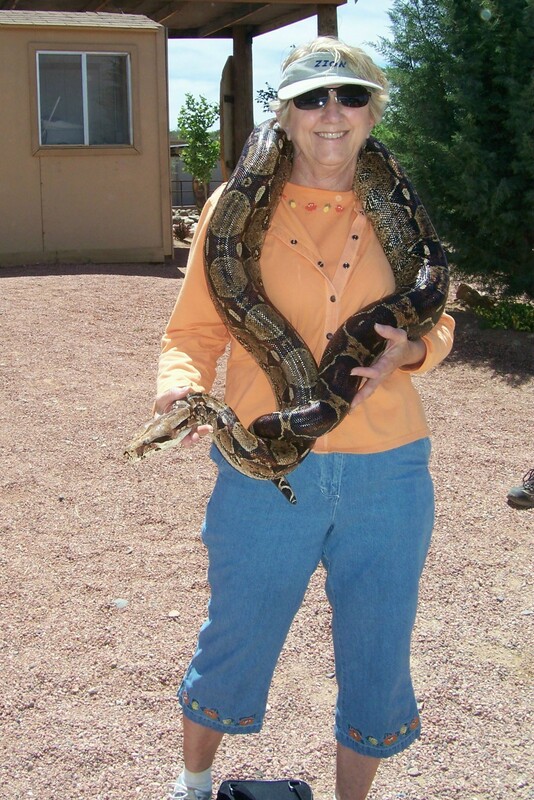 She had the bull snake draped on her shoulders with its head in one hand. She was stroking the snake with her other hand. ‘Not any more than he’s scaring us,’ said one of the students. Who is Beth Anne Riley . . . Really? I have been fortunate in my life to know many people with Down syndrome. Any one of them could have been the model for Beth Anne. But as my daughter Kirstin says, “I would like people to remember that even though we look alike, we are all unique.” And so Beth Anne is her own unique person. When I first began envisioning the plot for the second Handy Helper book, Seven is a Perfect Number, I knew that Melissa would be challenged by a new girl in town who would threaten her friendships with Laura and Amber. But when Beth Anne showed up, I was totally surprised. I hadn’t considered that the new girl would have Down Syndrome. And yet, there she was. When I think about it now, I can see that Beth Anne is the perfect person to shake Melissa’s self-confidence. Beth Anne is the opposite of Melissa in so many ways. To begin with, Beth Anne is timid and shy while Melissa is bold and outgoing. Melissa is concerned about her appearance, wearing the latest clothing fads and then accessorizing to the hilt. As Amber says, “She dresses to the nines” (sometimes the eighteens or the twenty-sevens). Beth Anne is happy to be dressed in comfortable clothes. And even though she rarely gets anything new, she is okay with that. When Beth Anne is going to church with her grandmother, Doris buys her a dress–one of the few dresses she has ever owned. The biggest difference between Melissa and Beth Anne is how they treat others. 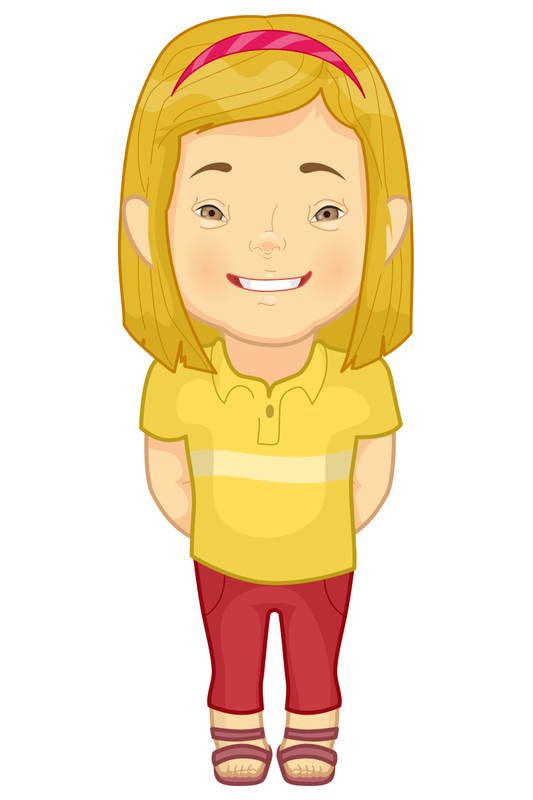 Melissa is friendly and helpful, but often puts her own needs ahead of the people she is helping. Beth Anne reaches out in a loving way and gives fully of herself. The difference becomes obvious in the way the two girls respond to Mrs. Henry. Melissa sees her as a grouchy old lady who needs help but doesn’t appreciate it. Beth Anne sees a lonely woman who wants someone to care. While Melissa is busy dusting Mrs. Henry’s living room, Beth Anne sits on the sofa and gets Mrs. Henry to talk about her photo albums. It is Beth Anne who coaxes Mrs. Henry out of her wheelchair so she can walk again. Little by little, the Handy Helpers realize that Mrs. Henry is changing from a grouchy old lady to a sweet, kind friend. All of them know that it is Beth Anne’s influence that is bringing about the change–all of them except Melissa. But even Melissa can’t fight the obvious forever. It is not until Beth Anne is rescued from the mountain, that her impact on the Handy Helpers becomes apparent to all of them. Beth Anne’s willingness to give of herself so completely, rubs off on each member of the Handy Helpers and is reflected in tiny acts of grace. Chris lets Elizabeth Sawyer win the Sunday school contest even though he has more scripture verses. Spike has been avoiding Connor, the little boy who tries to be like Spike. But in the end, Spike becomes his friend and even brings him to Melissa’s birthday party. Although Melissa had been trying to keep Beth Anne out of the Handy Helpers, it is Melissa who insists that the group won’t be complete until Beth Anne is the seventh member. Like the Handy Helpers, I’m so glad that Beth Anne came to live in Bluesky. Our lives would not be the same without her. I had been working hard on the second Handy Helpers book all day–first making some important revisions and then focusing on chapter ten. After dinner, I returned to work on it again, eager to finish the chapter. With chapter ten not quite completed, I was forced to quit as my mind was shutting down. Suddenly, the computer screen went blank. I stared at the white screen for a few seconds before deciding that I must have hit a function key and opened a new file. When I clicked the x to close the file, I was asked, as usual, if I wanted to save the changes. Just as I clicked “yes,” I realized I had not opened a new file, but I had actually deleted everything–thirty thousand words gone in an instant! My initial shock was eased a little as I remembered that every night at eleven o’clock my writing was automatically backed up on a thumb drive. I hadn’t lost everything–only my work from that day. Still feeling the loss and wondering if I would be able to recall all that I had written that day, I went to bed. The next day I was able to retrieve my backed up work and easily return to the parts of my manuscript where I made changes. With all the changes completed, I turned my attention to the part of chapter ten I had been working on but my mind went completely blank. Try as I might, I could not remember any of the words I had written. As I struggled to think of something to write, it seemed as if a wall had gone up, blocking my thoughts. Finally, in frustration, I gave up. “I don’t understand.” Beth Anne shook her head. I’ll never know what words I had written originally. 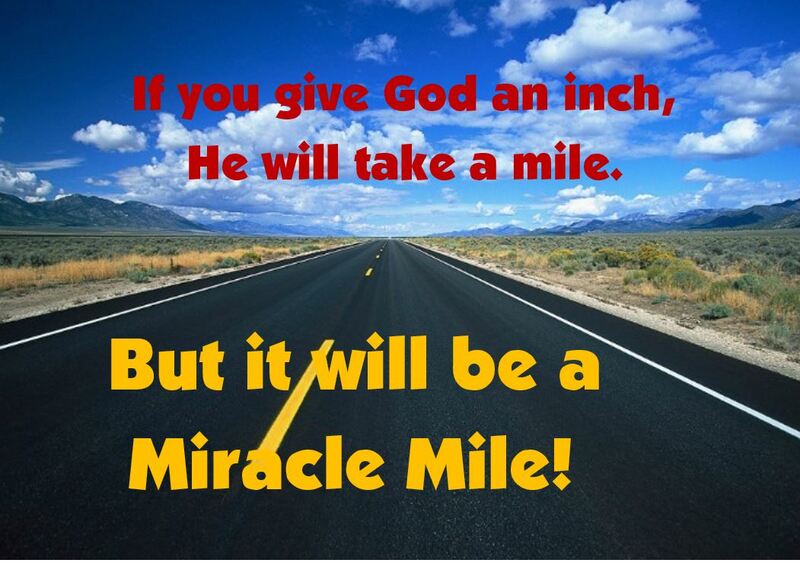 Those words are gone forever–erased by the hand of God. But in their place are words he wanted me to write. I’ll be forever grateful for his gift of grace. RMH: I heard that you are an avid reader. What are some of the books you like to read? KIRSTIN: I like Anne of Green Gables, Rizzoli and Isles, Princess Diaries, and Janette Oake. When I was a kid I liked to read the Babysitter’s Club and Sweet Valley High. I’ve been rereading some of those lately. RMH: Why did you choose to read the Handy Helpers books? KIRSTIN: The main reason is that my mom wrote the books. I started reading the chapters as she finished them before the books were even published. I’m also her advisor so I have to read the books to give her advice. RMH: Which book did you like the best? KIRSTIN: Seven is a Perfect Number. I liked that book because there is someone with Down syndrome in it and I like that character. She kind of like me but different in some ways. RMH: What was your favorite part? KIRSTIN: I liked the part where Beth Anne becomes a Handy Helper. Melissa was jealous of Beth Anne and didn’t want her to be a Handy Helper. In the end, Melissa learned that she was wrong about Beth Anne. RMH: Who’s your favorite Handy Helper? KIRSTIN: Beth Anne is my favorite character. She is sweet and kind to everyone. RMH: Who’s your favorite senior? KIRSTIN: My favorite senior is Mrs. Henry. She is grouchy at first but after she spends time with Beth Anne she changes to a nice, sweet person. RMH: If you could hang out with one of the Handy Helpers, who would it be and what would you do? KIRSTIN: I would like to hang out with Amber. She has a special bond with her mom like I do with my mom. I would hang out with her at the mall. RMH: What do you think readers will gain from reading the Handy Helper books? KIRSTIN: They will learn that we should all do our part to help others. When the Handy Helpers have problems they get help from their parents or from the seniors. We all make mistakes. We have to learn to overcome them. 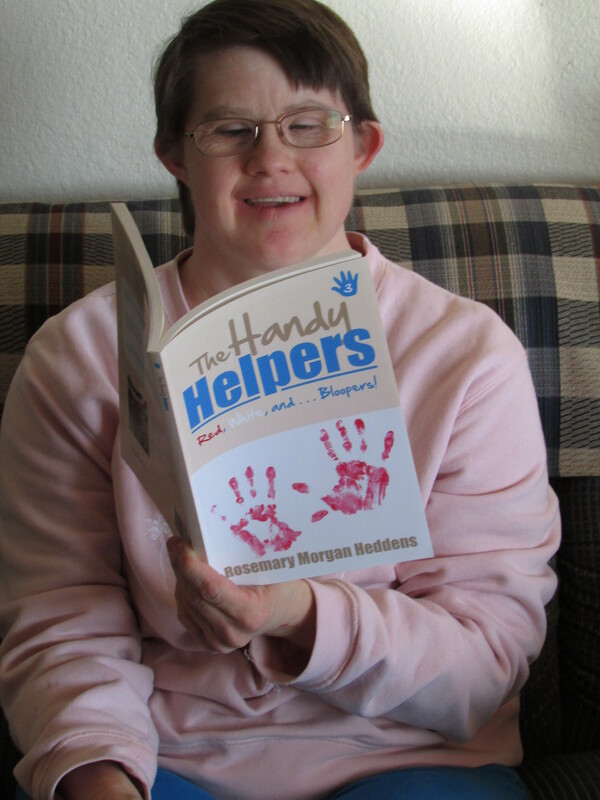 RMH: Would you recommend the Handy Helpers books to everyone or is there a certain type of person who would especially enjoy reading them? KIRSTIN: I recommend the Handy Helpers to everyone who wants to read a good story. RMH: Have you previewed any of the chapters in the next Handy Helper book, Not a Happy Camper? If so, do you want to give away any surprises from that book? KIRSTIN: Yes, I have. Here are some surprises. Gus becomes a foster parent for three children. Beth Anne makes a new friend. Spike gets to be a Handy Helper again after his big mistake in book three.